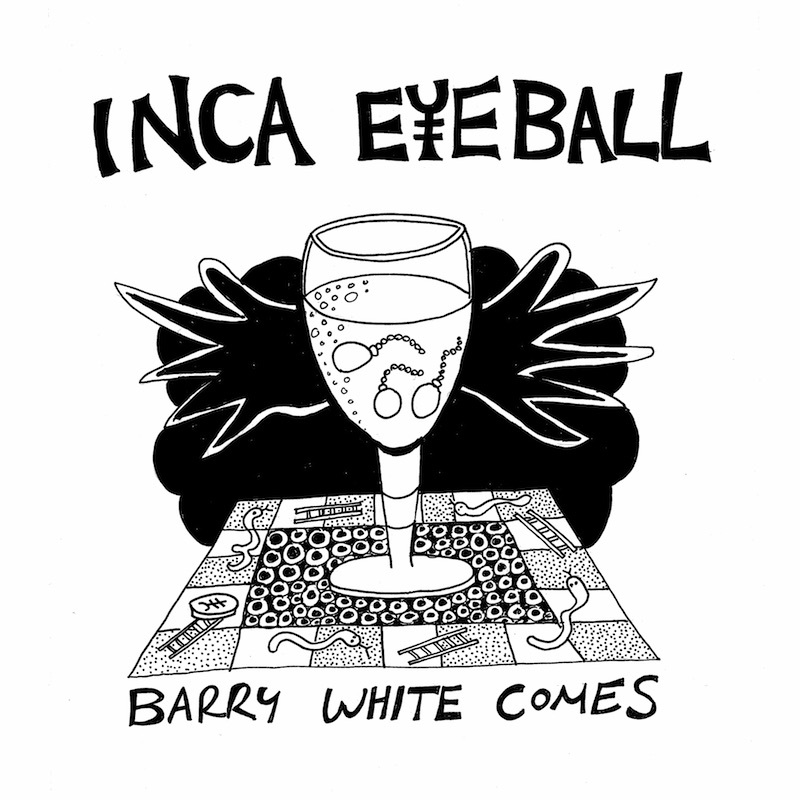 Veterans of the UK lo-fi underground Inca Eyeball present their first new LP since 1999. The duo of Phil Todd (Ashtray Navigations, Dogliveroil) and Joincey (Wagstaff, Coits) released tons of classic cassettes in the 1990s on labels such as EF Tapes, Fusetron, Union Pole, Giardia, and Todd’s own Betley Welcomes Careful Drivers imprint, in addition to a handful of vinyl releases and an unforgettable 99 track CD released on Spirit of Orr. Notorious for their incredibly short “songs” (typically 2-30 seconds of improvised instrumentation on cheap and broken instruments over bizarre decontextualized rants) with verbose and frequently idiotic titles, the duo quickly garnered a following within the experimental tape underground of the 1990s. 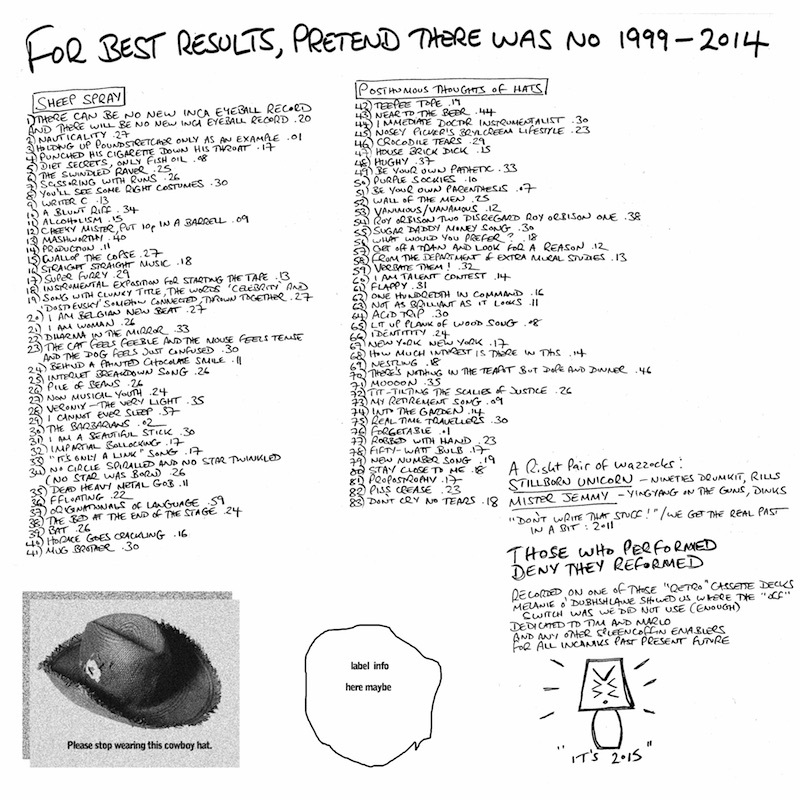 Pretend there was no 1999-2014 and enjoy this new LP featuring 83 tracks (all individually banded) of classic, poorly recorded Inca ineptitude.